The October issue of Self magazine features Editor-In-Chief Lucy Danziger telling readers that she's "still thinking pink." She writes, "This magazine has been telling women how to take care of their breast health—and their whole health—for more than two decades." She reminds readers that each October "…we devote pages to pink products, small symbols of the commitment to arm women with helpful information, and empower them to take better care of themselves." 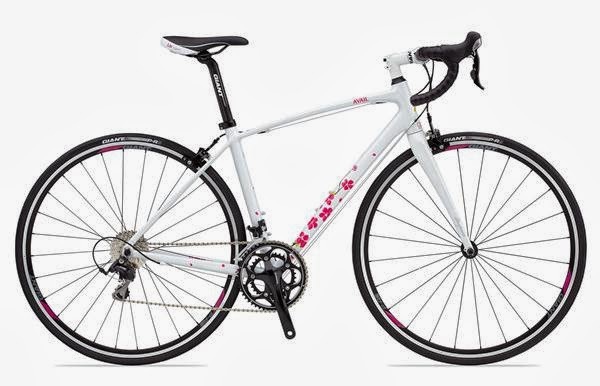 Among those products is a bicycle she says, "I'd totally buy…" The Liv/giant Avail Inspire. 10% of the retail price of each Liv/giant Avail Inspire soldis being donated to the Young Survival Coalition. 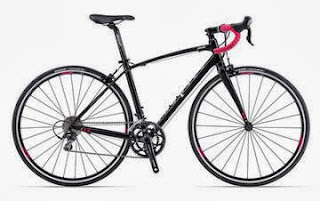 We've got the 2013 Liv/giant Avail Inspire (pictured in the article above, and below) in stock and ON SALE (originally $1,399.99, now $1,374.99). We have a size Medium in Medina and Rocky River, and an Extra-Small in Rocky River. We also have one size Large left of the 2012 version of the Avail Inspire in Medina, pictured below (originally $1,359.99, now $1,099.99). 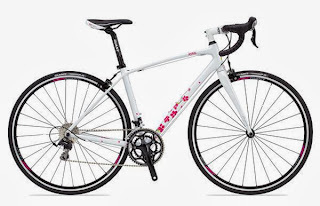 Both bikes feature Liv/giant's women's-specific frame geometry, Giant's ALUXX-SL grade aluminum frame, Advanced-grade composite fork, and Shimano 105 shifters and derailers. Come on in for a test-ride, and take one home today! As usual, we can send any bike to the store most convenient for you; no additional cost or obligation on your part. Call us to confirm availability!